Mushrooms are a rich source of protein and I make it a point to make some mushroom dish or the other from time to time. The easy availability of white button mushrooms has made this possible. 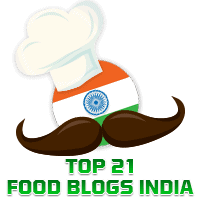 Needless to say, I think all these dishes are delicious and you will find recipes for some of my favourites like Achari Kumbh and Mushroom Chettinad here in this blog. The addition of freshly ground pepper powder gives an altogether different taste to the cooked mushrooms in this Mushroom Pepper Fry. The spice level can be adjusted as per your taste. Wash and clean the button mushrooms and pat them dry. Slice the mushrooms. Keep aside. Prepare freshly ground pepper powder from the black pepper corns. Keep aside. Next add the capsicum cubes and saute on medium flame stirring continuously for a couple of minutes. Ensure that the capsicum remains crisp without getting over cooked. Add the sliced mushrooms, and salt to taste. The mushrooms will leave water. Cook covered on medium flame, stirring from time to time, until the water is fully absorbed and the mushrooms become soft.